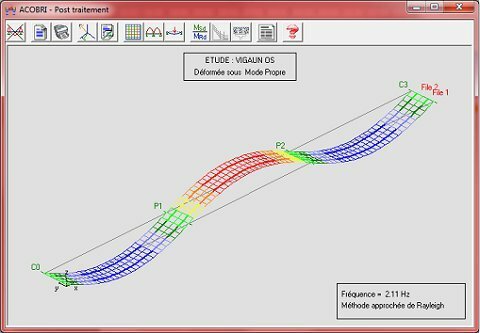 ACOBRI is a software developed by the CTICM for ArcelorMittal account for the preliminary design of structures with composite steel-concrete deck. It is designed especially for the verification of high performance laminated beams as main beams in bridges, roads, railway bridges and pedestrian walkways. At the stage of the draft, this software is a quick and effective tool to design and analyze a competitive mixed solution. These calculations are performed according to Eurocodes (general rules, French National Annexes, German or Italian). Regarding traffic loads, they are determined automatically by the software from a finite element based on design rules previously selected by the user. It is also possible to define abnormal loads for road bridges. 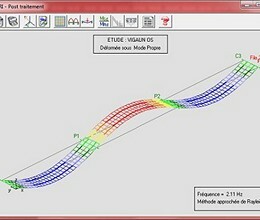 The scope of software covers bridges up to 10 spans, 10 beam lines (30 for filler beam bridges) and ranges up to 50 meters. The user-friendly and intuitive graphic interface allows the user to enter and edit data easily. The program has a powerful post-processor that offers multiple opportunities for publishing results and graphics: modeling, effort diagrams, influence lines, distorted the deck, distribution of connection... This module is a handy tool that allows a critical analysis of the results. * ACOBRI download link provides freeware version of the software. ACOBRI has been rated 3.7 out of 5 points. A total of 3 votes cast and 0 users reviewed the software.